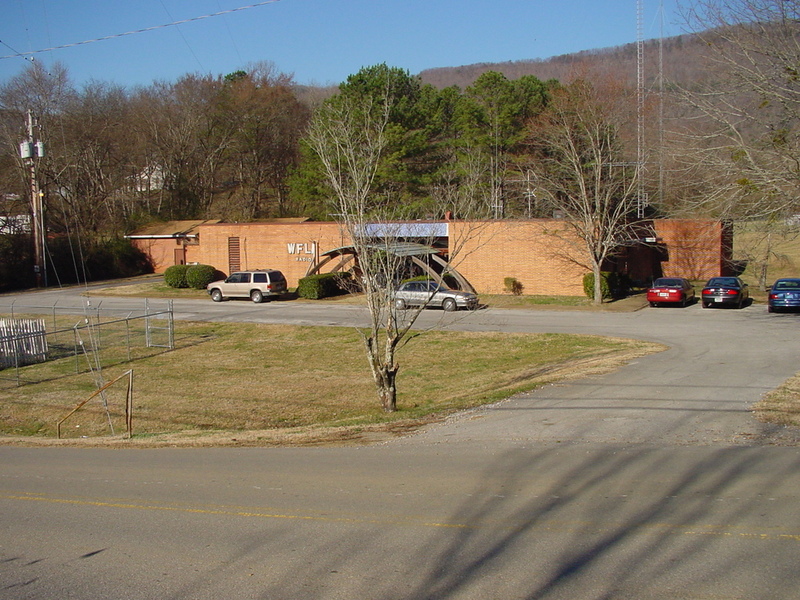 Here are the studios and transmitter of religious WFLI 1070 Lookout Mountain, at 621 O'Grady Drive. The next photo shows the towers more clearly. Copyright 2002, Garrett A. Wollman. All rights reserved. Photograph taken 2002-02-28.